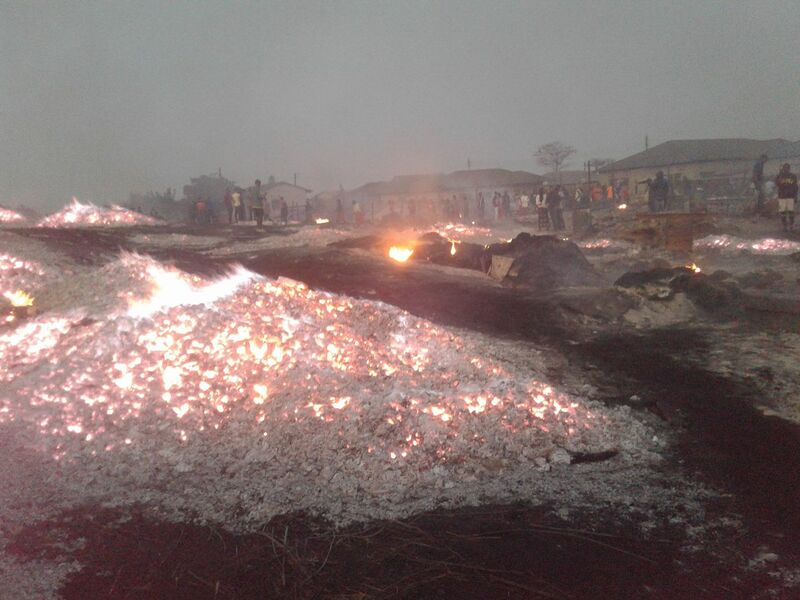 Goods worth millions of Kwacha have been destroyed to ashes at Kapalala Market in Ndola after a fire swept through the market yeasterday, destroying over 3,000 stands. 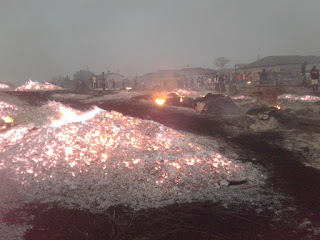 The fire, which started around 01:30hrs, was only quenched around 06:00hrs. Fire fighting crews from the Ndola City Council, Luanshya Municipal Council, Indeni Petroleum Refinery and the National Airports Corporation battled the inferno for several hours. Ndola Chief Fire Officer Wellingtone Mulambo says it took long for the fire crews to quench the fire because the market had no access roads. Mr Mulambo says fire fighters found it difficult to access some burnt areas because stands were burnt too close to each other and fire fighters had to destroy some of the stands to create roads for fire tenders to pass. "We are on the scene within five minutes of a phone call. When we came here, almost all parts of the market were on fire. The challenge was that the market is made up of planks, cart boards and plastics. There was so much wind blowing and stands are built too close to each other," said Mr Mulambo. At around 05:00hrs this blogger arrived at the scene, marketeers were found wailing and watching helplessly as their goods went up in flames. "Iam going to suffer. All my goods have been burnt and i do not know how i will find money to pay for the school fees for my children,"shouted Cecilia Chitafu as she cried. Ndola Mayor Amon Chisenga, who was on site at the time, expressed regret over the fire incident. He disclosed that from preliminary assesments, over 3,000 marketeers have lost their goods. "How the fire started, we do not know because there are too many versions. So we are leaving everything in the hands of the Police to investigate and give us a report," said Mr Chisenga. Meanwhile, Police have arrested a 30 year old resident of Kabushi who is suspected of being behind the fire. 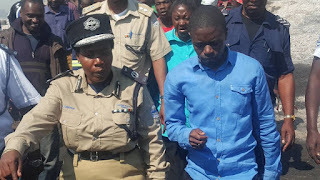 Copperbelt Police Commissioner Charity Katanga says the suspect has been charged with the offence of Criminal Recklessness and Negligence which is centrally to Section 237 (C) Chapter 87 of the laws of Zambia. 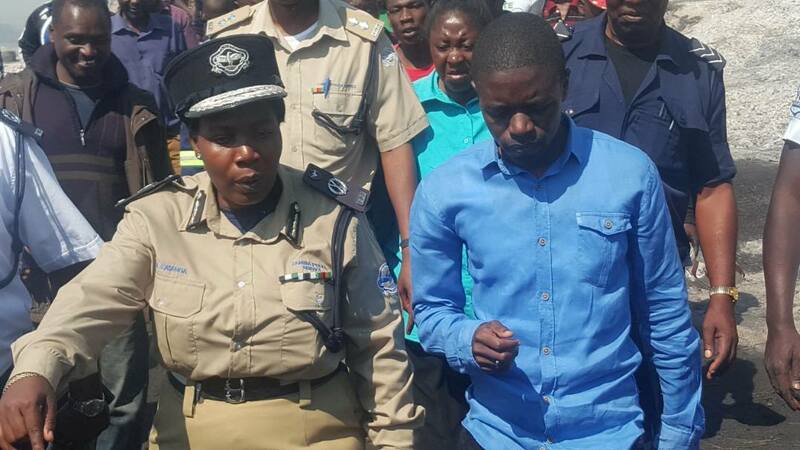 Ms Katanga says the suspect, whose name has been withheld for security reasons, confessed how he lit a brazier which later exploded and spread the fire to other stands. She has disclosed that the suspect took Police officers to the scene and demonstrated how the brazier he was using spread the fire. "We have concluded without any reasonable doubt that the man we have arrested is the one behind the fire. He confessed having lit the brazier and even demonstrated how it exploded, spreading the fire all over," said Ms Katanga. The unidentified man is currently in Police custody and is expected to appear in court today. Ms Katanga says a further 12 people have been arrested for looting goods at the market. She says the suspects were spotted stealing goods and transporting them to their homes. Two marketeers are currently battling for their lives in hospitals following the fire. A man, who Police have only identified as Francis, threw himself in the fire in a bid to commit suicide and suffered 100% burns. And a woman who could not hold herself when she saw her stand go up in flames, collapsed and lost consciousness. Kapalala Market is believed to be the largest market in Ndola. At its peak, about 6,000 trade at the market which is located in Masala area of Kabushi Constituency. Mopani Copper Mines, a unit of Glencore, has in the past 10 days reportedly lost about US$30 million in a power dispute which has forced it to suspend operations and send its thousands of workers home. On August 11, the Copperbelt Energy Corporation (CEC), the sole distributor of electricity to Zambia’s mines, started restricting power to Mopani after the firm refused to pay the revised electricity tariffs. Zambia is Africa's second largest producer of copper. CEC is a private company and it does not produce its own power. It buys it from Zesco, a state owned company and later sales it to the mines. Zesco and CEC arrived at the new tariff after protracted talks. The new tariff now costs mining companies 9.3 US cents per kilowatt hour. And the restriction of power from the required 190 megawatts to 94 megawatts means that the company, which operates two copper mines and smelters in the mining towns of Kitwe and Mufulira, can no longer send miners underground. This has also threatened the economy of the two towns which rely heavily on MCM for jobs and business. The Nkana and Mufulira mines have been in operation since the 1930s. “Mopani Copper Mines has rejected the industry-wide tariff increment and sought to continue to pay for the electricity they consume at the old tariff. Given that it is already eight months since the new tariff was implemented, outstanding amounts due from MCM have escalated and it has become unsustainable for the utilities (CEC and ZESCO) to continue supplying MCM with their full power requirements. Under the circumstances, CEC has been left with no option but to restrict power supply to MCM to a level commensurate with the monthly payments that MCM continues to make to CEC,” said CEC Senior Manager for Corporate Communications said in a press statement to this blogger. Ms Nsabika said CEC was still open for talks to diffuse the standoff which has now entered day 10. But Mopani has cried foul that the matter involving the revised electricity tariffs is in court and there was no need for CEC to restrict power. 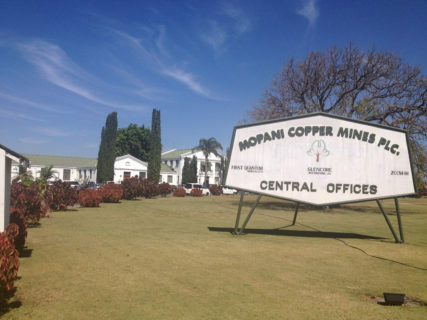 Despite other mining houses paying the revised tariffs, Mopani has refused. The firm has since asked the Kitwe High Court to interpret the power agreement the mining firm has with CEC. “Despite an injunction being granted by the Courts of law on Friday, 11th August 2017, power has not yet been restored to our assets. This relates to the implementation of new electricity tariffs, which Mopani and other mining companies have contested in court and the courts of law are yet to resolve the matter. While awaiting the determination of the matter in court, Mopani Copper Mines Plc has continued to consistently pay the tariffs as stipulated in the existing legal contract with CEC,” said Mopani Copper Mines Public Relations Manager Nebert Mulenga a day after the restriction of power was implemented. But 10 days later, the standoff is still on and thousands of miners are still not reporting for work. Energy Minister David Mabumba this morning met management from both CEC and MCM in Kitwe to try and pacify the situation. He later emerged from the meeting with a 24 hour ultimatum to the two firms to resolve their differences. “Today’s meeting with Mopani was to resolve some of the outstanding issues regarding the 9.3 cents or the increase in the power tariff. I wanted to conclude the negotiations today and I have told them to give me the answer before close of business today. As far as Mopani is concerned, they are losing about $3 million per day,” said Mr Mabumba when he addressed reporters. The Minister was accompanied to the meeting by Copperbelt Minister Bowman Lusambo and the Mayors and District Commissioners of Kitwe and Mufulira. But by sunset, there was still silence on the talks between the two sides. And stakeholders are concerned that the standoff will result in job losses. Mine Workers Union of Zambia General Secretary Joseph Chewe has called on the mining firm and CEC to amicably resolve their dispute and avoid escalating the situation. “We have just come from two years of retrenchments, we do not want to see our miners losing jobs. Let CEC and Mopani dialogue and resolve this matter,” said Mr Chewe in an interview. And Association of Mine Suppliers and Contractors President Augustine Mubanga says the restriction of power to Mopani Copper Mines has a possibility of affecting the overall performance of the mining industry. “This issue must be resolved quickly because Mopani Copper Mines is a huge investor whose lack of production can affect Zambia's Gross Domestic Product,” said Mr Mubanga. He adds that some of his members are no longer able to deliver their goods and services to Mopani since the firm shut down operations. In May, Zambia's Energy Regulations Board raised domestic electricity tariffs.